It is a period of fantastic possibility. Rebel Freifechter, training in study groups across the world, spread the word of Joachim Meyer to the HEMA-verse. Now, the forces of the Meyer Freifechter Guild gather together to celebrate the Art of fencing with fellowship, study, and steel. Three days of Meyer-focused classes, fencing, Fechter testing, fellowship, and fechtschule! Flying in? Rides can be arranged from CID or DBQ. Full Participation Ticket is $150, includes all events, meals on Friday and Saturday, and breakfast on Sunday. Price also includes loft lodging, or you can pitch a tent. 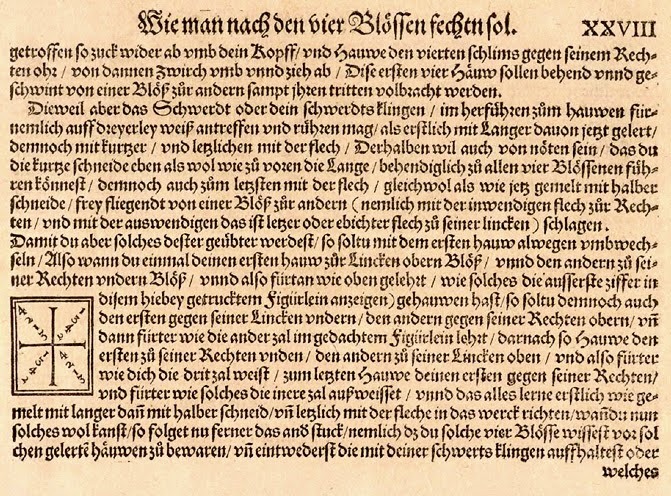 “…Krumphäuwen are many, and that all cuts that are done with hands put crosswise or crossed, will be known as Krumphäuwen… and it applies equally to the long or short edges, thus it is a Krumphau when you hold your hands crosswise.” – Meyer (1560) MS A.4o.2, 1.12rvBut I can understand confusion. Like they say krumping ain’t easy. 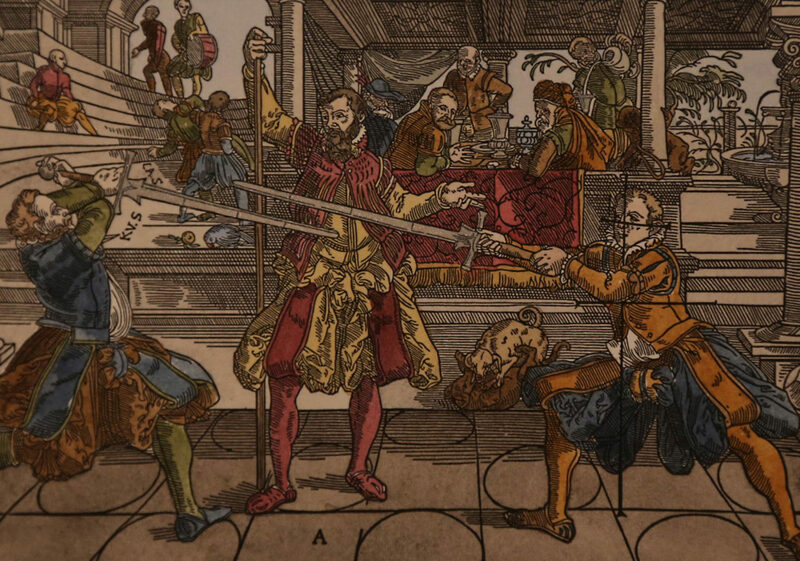 If your opponent cuts at your opening when you stand in the right Nebenhut, then spring well away from his cut with your right foot to his left, and cut with crossed hands above and behind his blade at his head. If you do not wish to wrench toward your left (Ausreißen), pull quickly up with crossed hands, and strike with the outside flat strongly around from below at his left ear. No posture will come to you that is so good; in the Nach you will hit him with free mettle. This is why we move about; transitioning in the Zufechten through many guards. This is the chess match of fencing and why we do not linger overlong in any particular guard. It is also why it looks silly to view a fencing match where one or both fencers stabilize in a guard, Tag for example, and inch forward, tipy-toeing into Kreig distance to engage in a sad shootfighting, strike fest version of HEMA. Pay heed to Indes, understand me rightly, hit him before he adopts his posture. This is a difficult time to describe and from what I understand even the translation does not do it justice, because its meaning is quite a bit deeper than the simple English translation of Just As. Indes describes the time of the moment of decision. It is often used to gain back the initiative from an opponent who has gained the Vor. See that you are the first on the field; before your opponent adopts a posture, lay on against him. Meyer is talking about seizing and maintaining the Vor. Meyer speaks further of the Vor, that is the act of having the initiative.